It’s statement time! Now what’s going on here? 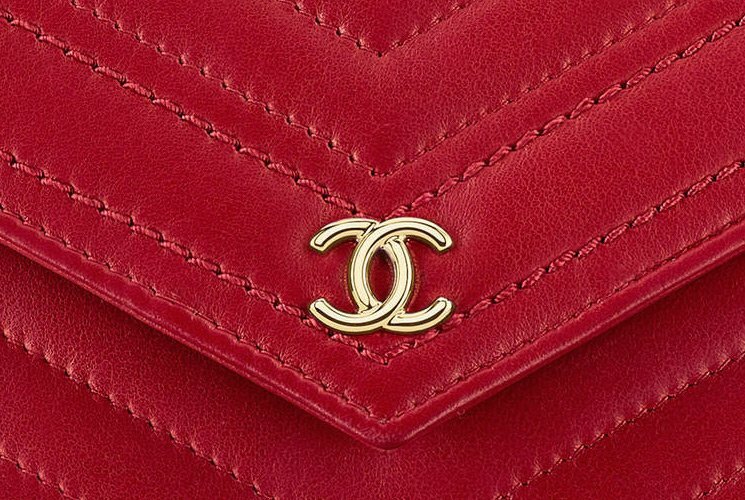 It appears to be that Chanel is going to create a new signature handbag collection. We’ve already covered the Chevron Statement Flap Bag and the Chevron Statement Pouch. Now introducing the Chevron Statement WOC for the Fall Winter 2017 Collection Act 2. 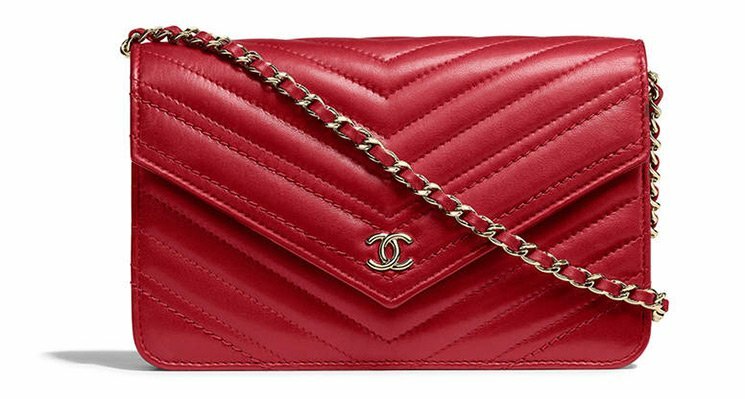 Is Chanel secretly creating a new iconic line? The Chevron Statement Flap Bag was a huge success; there were a lot of positive responses at Bragmybag. Now we expect the Chevron Statement WOC to be a winner too because the design is just too fabulous. This WOC is different yet very stylish. 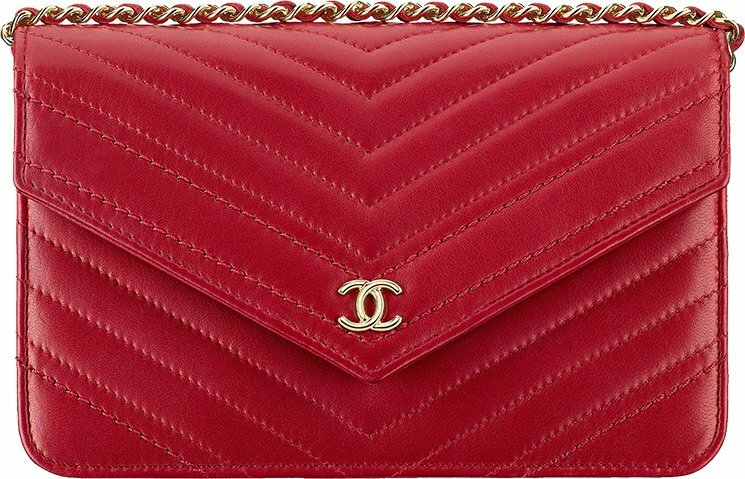 It’s designed with an envelope V-shape flap and refined with the signature smooth CC logo on the front. 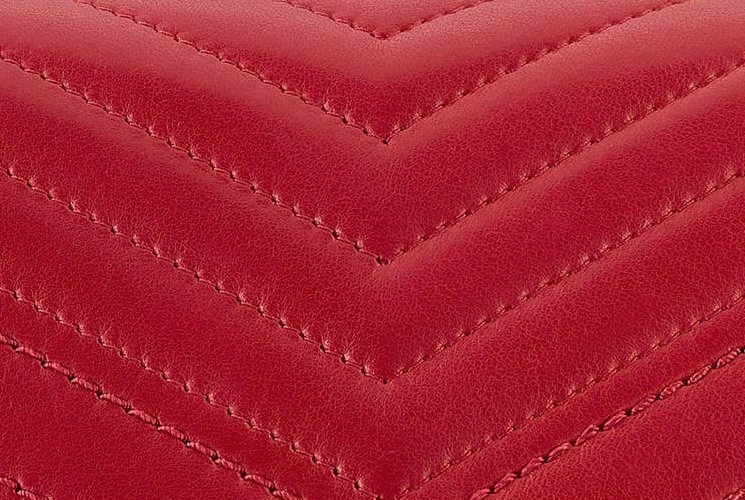 The V-shape flap goes hand-in-hand with the Chevron Quilting that has been enhanced with vivid stitches. So how do you recognize a Chevron Statement Bag? Take a look at the bottom edges; they are made with smooth leather. The Interior of this bag similar to the other Wallet On Chain Bags. Inside you will find a main compartment, but also six credit card slots and a zip pocket on the front to secure your vital essentials. Style code: A84350, measuring 4.8’ x 7.6’ x 1.4’ inches, priced at $2100 USD, €1865 euro, £1690 GBP, $3040 SGD, $15500 HKD, 9380 MYR via Chanel boutiques.